The Seventy Twenty return with a brand new album “Welcome To Jackson Heights” in which James Burling coalesces the best of his first and second albums into a magnificent third. The album has ten tracks making up thirty two minutes so there’s no padding or lengthy outings, indeed two tracks, called “Interludes”, little musical sketches, are very short indeed. The album length and track timings are no great issue as the quality of the songs is timeless. There is an effortless, yet epic, grandeur to these tunes, imagine the distillation of urban tropes that you will get from an early Tom Waits album, the brash Jersey Shore blue collar pop of early Springsteen, the melancholic beauty of a Ray Davies classic, and McCartney at his most melodic, and you are close to what Burling has created here. Classic albums shouldn’t take up to too much listening time, and they should leave a nagging message in the corner of your mind, begging you to listen again. “Jackson Heights” does this, as it conjures and delivers the story of a transatlantic love affair which has reached a point of resolution. If the first two albums were the courtship period of that love affair then this album finds it reaching something more permanent. There’s a maturity to the tunes, there’s not the ongoing search for a pop melody as there was on the first two releases. The New York meta-fiction thing here is whether the protagonist is in love with the girl, or the city, or both. The psychogeography of the Big Apple, and Queens in particular, is a key component. There are a variety of new musical avenues explored, the rich psychedelia of “Untilted” for example echoes and builds on The Beatles “Within You, Without You” by taking it into a drone rock nirvana with searing guitars buried deep in the mix. Indeed the latter half of the album takes us into a range of areas moving seamlessly from pop to rock. The hypnotic “Waves As Tall As Towers” is a tour de force, layers of instruments build in a hypnotic maelstrom of sound, Burling’s vocals are sensational here, as keyboards surge around a repetitive rhythm which breaks down into a funky bass interlude. The closing “Jackson Heights” however takes us back to the stripped down acoustic guitar journeys of the first album, a narrative in the spirit of Arlo Guthrie or Paul Simon. A poignant closer to a wonderful album delivers the message that love has won the day. Surely a message we need to be sending out on both sides of the Atlantic in the days of the Donald and Maybot. When music historians look back on the latter half of the 2010s two key things will become clear from their research. Firstly how the hell was Ed Sheeran/Mumford and Sons/Coldplay (delete as applicable) so successful when other bands and artists, clearly more talented, remained largely unnoticed? Secondly, why didn’t my DJ chums (with the notable exception of Dave Hammond) pick up on the first The Seven Twenty album when I made it my album of the year in 2015. 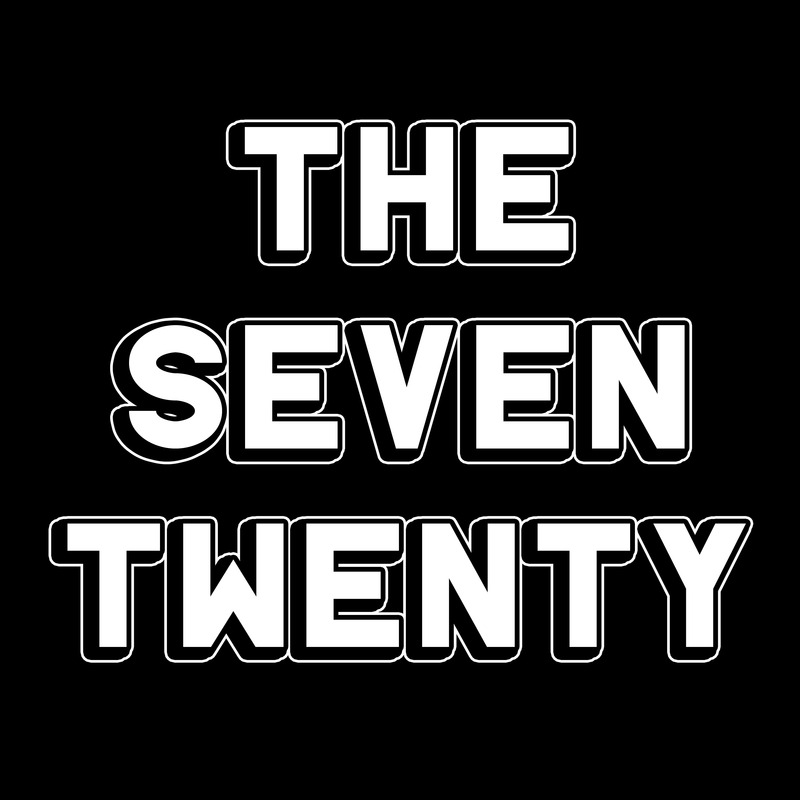 Three years on from that first album The Seven Twenty are back with a collection of songs that were written around the time of the first release and have been languishing waiting for a record label with any degree of common sense to pick up on them. Such are the vagaries of the music biz these days the band have set up their own label to release it. In a pub in Prestwich about a year ago I was berating Stephen Doyle about the need to find “The Grant McLennan Moment” in the outpourings of singer we were watching, who was trying hard but I was not connecting with. The “Grant” moment is that bit in a song where you get a shiver up your spine and you smile from the inside out. Very few musicians can do it. Capturing a moment in time through songwriting and making it last is an art. James Burling can do it, and he has a group of musicians around him that can deliver his vision. Their new album does the “Grant” thing on every track. “Joy” is the second album from The Seven Twenty. It was written on a plastic guitar in New York in four days and brought back to the UK where it was polished and developed, before being finished in New York in the Summer of 2016. They have created a collection which is every bit of a triumph as the debut. I’d go as far as to say it’s better than the eponymous first release in that it is better produced and has a complete suite of songs feel about it. The thematic thread of the album is love, but a love separated by distance, lack of resources, cultural divides, and other distractions. New York, as a place, runs through the album with Paul Auster like psychogeographical abandon. Musically it is rich and memorable, with lush string arrangements, epic sweeping moments and also a great deal of fun. Burling can be firmly placed in the list of great songwriters like Forster & McLennan, Ray Davies et al. He captures the essence of pop/rock music and modernises it, you will recognise some of the themes, arrangements and melodies in that he has taken the ingredients that make a great song and distilled them into perfect little parcels. On one occasion the similarities to a track by a group from Birmingham are a little less tangential than they ought to be but manage to avoid being a copy/pastiche, in any event, anyone under the age of 55 wouldn’t probably get the allusion/illusion/connection that I got. Comparisons can and should be made, in part, with The Go-Betweens. A female drummer and great songs are the pedantically obvious points. What I mean is that this is a quality album in the adventurous spirit of Spring Hill Fair with the sentiment and accessibility of 16 Lovers Lane. And of course, Robert Forster had a solo album called “I Had A New York Girlfriend”. ‘Joyʼ is released on 22nd June 2018 on limited run vinyl and digital formats. The Seven Twenty are James Burling (guitar, lead vocals), Stewart Harris (bass, backing vocals), Geoff Hinkins (keys, backing vocals) and Helen Robertson (drums, backing vocals). Stewart also plays in The Scissors and Helen & Geoff play in Goddamit Jeremiah (whose album I must get around to reviewing as well). “Joy “is the first release on the bandʼs Whiskey Ward Records label. Order it here. The promo says the album is already being described as a “cult” classic. It transcends cult status in my mind, it ought to be huge. Whether they will be able to break through the 6Music glass ceiling is in the hands of the gods, and luck, I’d guess but I already know that at least three community radio DJs will be featuring the band, I challenge my other DJ chums to ignore it at their peril. Will it be album of the year 2018? Possibly but there are already six other contenders which are as good, and it is only June, so you’ll have to wait until December to find out. As for Ed Sheeran and the others? Well, I don’t really care about them. 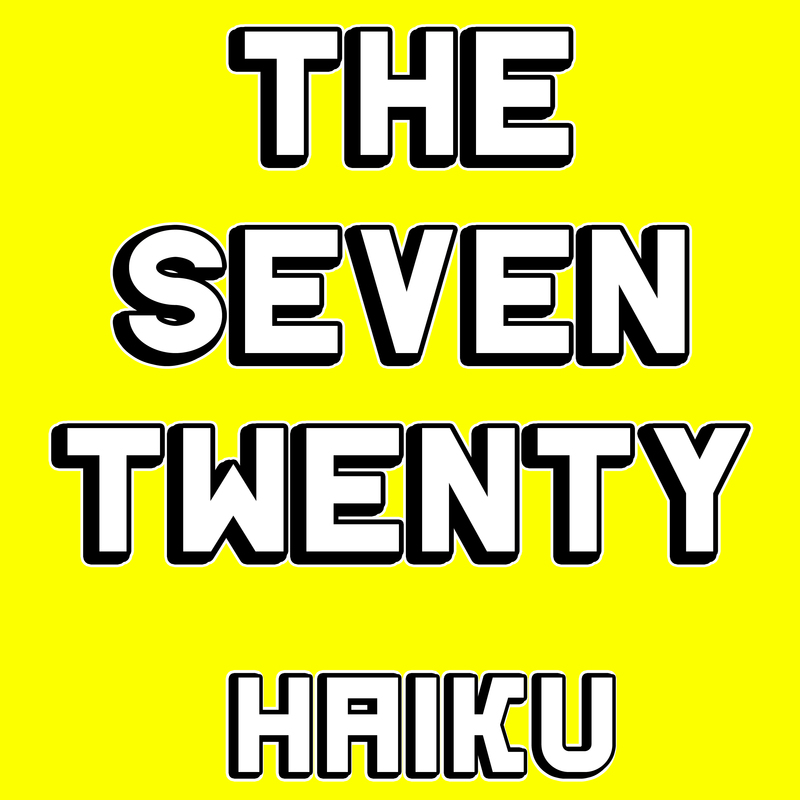 I wrote about the forthcoming album from The Seven Twenty a few weeks back. A track from that album appears as the lead on this debut single, which precedes the main release by four weeks. You also get three tracks which do not appear on the album. Aside from my love of the lead track, which is one of the many high points of the album, James Burling’s excellent song-craft is at play on the remaining tunes. From the surging motorik punk rush of “Get Your Affairs In Order” via the sprightly guitar driven “Cameo” to the wistful tongue in cheek pop of “There’s No Trick To Getting A Lot Of Women” you get a clear indication of the variety of material the band can deliver. I’m reminded of the playfulness of Kevin Ayers, and Robyn Hitchcock at his best. Lyrically strong, and with hooks that stay in the head this is quality stuff.